Located in beautiful Pointe Alexis this 3 bedroom 2 bath 3 car garage home was built in 1994 with 1443 square feet of living area. Kitchen with breakfast bar and Dining area. Open Living Room with cathedral ceiling and wood flooring. Master Suite with walk-in closet and Master Bath with dual sinks and linen closet. Two other Bedrooms for family or guests share the 2nd bath. Indoor laundry room. Covered and fully screened patio overlooks the natural estuary with the Gulf of Mexico beyond. Large garage with plenty of storage. New roof in 2018 AC in 2017 new carpet and fresh interior paint. Seller will give an allowance for the replacement of clouded windows. Pointe Alexis is an award winning community that offers a clubhouse with an exercise room and billiard room heated community pool & spa 3 tennis courts shuffleboard 3 pickle ball courts and more. HOA fees cover all lawn maintenance use of all community amenities water sewer and garbage pick-up. 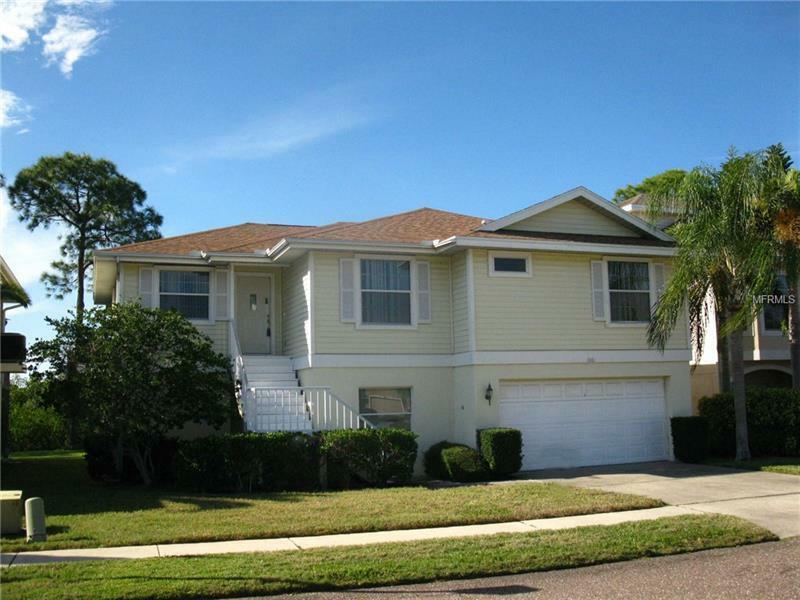 Close to 2 beaches hospitals and the Famous Tarpon Springs Sponge Docks! Additional Water Information: This is a gulf front home but the view is obstructed by mangroves. Buyers or realtors can inquire with HOA about trimming mangroves for a view.